What do People Say about Mormons? Where Did the Word “Mormon” Come From? 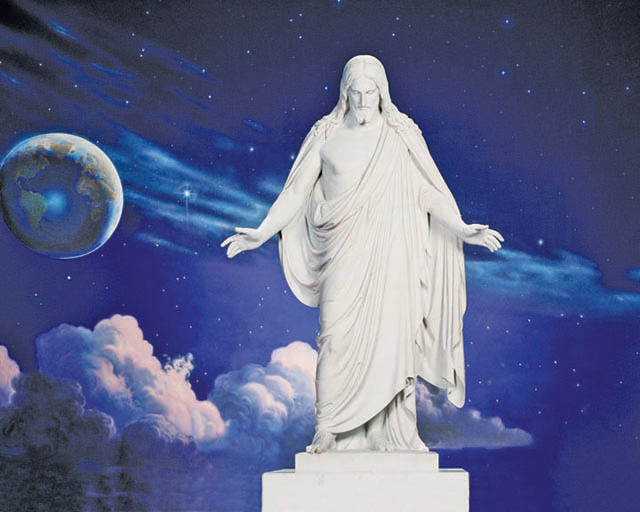 Do Mormons Celebrate Easter, Christmas, Birthdays? Why Mormons don’t Wear Crosses? Mormons believe in an all-powerful but personal God who hears and answers our prayers, has a plan for each one of us, and who is willing to give us comfort and personal revelation according to our needs. There is power in prayer, especially when it is combined with fasting. Mormons often pray together in families and in meetings, but also organize prayer among congregation members and extended family when pressing trials call for extra help from the Lord. Great miracles have occurred when such prayers are raised on behalf of someone who is ill or otherwise afflicted. Many things can be accomplished through prayer. We can pray to see clearly and avoid the temptations of Satan. We should pray to confess our sins to the Lord and to work to be reconciled to Him. We can pray for forgiveness or for the strength to forgive those who have trespassed against us. We can pray for guidance in making decisions, in our relationships at home and at work and in church and community callings and service. We can pray for protection, not only from accident and harm, but from our enemies. We should pray over all of our concerns — our work, our friendships, our resources, our parenting, our marriages. We should express our love for our Heavenly Father in prayer. We should give thanks for our specific blessings. The Lord asks us to “pray always.” We can pray at any time, in any bodily position, but we should especially begin and end the day giving thanks and inviting the Holy Spirit into our life. Mormons say grace at meals, also. In the Book of Mormon, Moroni 10:4, we are counseled to pray “with a sincere heart, with real intent.” To pray with real intent means to stand prepared to act upon the answers we receive. All prayers should include the caveat “thy will be done.” We try to bring our lives into accordance with God’s will. The Lord can answer all prayers in the affirmative when this happens. There have been great prophets who have accomplished this, so that the Lord was willing to affirm and seal every request. An example was Elijah, who prayed that the heavens be sealed. 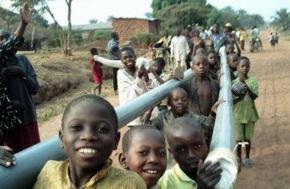 This caused a great famine that humbled a wicked people. The Lord always answers prayers offered with a sincere heart, in faith, and with real intent. Our prayers are always answered at a time and in a way that is best for us. An artist bore testimony of this. He prayed to be a professor at a college with an outstanding art program. He received no confirming warmth in his bosom, a witness from the Holy Ghost. For nine years he struggled in another position; it seemed like his prayer had not been heard, but then the very heavens seemed to open and the job simply fell in his lap. When he looked at all that had transpired during the past nine years, he could see that the Lord had begun moving the pieces that would give him the position at the moment he had prayed. The Lord expects us to do our homework. Instead of asking what we should do, He wants us to study it out in our minds, make a decision, and then bring the decision to Him for approval. He promises a feeling of comfort and peace for a correct decision, and confusion of thought for an incorrect decision. In emergencies, however, the Holy Ghost will often answer by impressing words upon our minds, telling us what to do. Therefore ye must always pray unto the Father in my name; And whatsoever ye shall ask the Father in my name, which is right, believing that ye shall receive, behold it shall be given unto you. Pray in your families unto the Father, always in my name, that your wives and your children may be blessed (3 Nephi 18:19-21). Thou shalt have no other gods before me. Thou shalt not make unto thee any graven image, or any likeness of any thing that is in heaven above, or that is in the earth beneath, or that is in the water under the earth: Thou shalt not bow down thyself to them, nor serve them: for I the Lord thy God am a jealous God, visiting the iniquity of the fathers upon the children unto the third and fourth generation of them that hate me (Exodus 20:3-5). Wherefore, thou shalt do all that thou doest in the name of the Son, and thou shalt repent and call upon God in the name of the Son forevermore (Moses 5:8). Verily, verily, I say unto you, ye must watch and pray always, lest ye be tempted by the devil, and ye be led away captive by him. Pray always, that you may come off conqueror; yea, that you may conquer Satan, and that you may escape the hands of the servants of Satan that do uphold his work (3 Nephi 18:15; Doctrine and Covenants 10:5). Do not say: O God, I thank thee that we are better than our brethren; but rather say: O Lord, forgive my unworthiness, and remember my brethren in mercy—yea, acknowledge your unworthiness before God at all times (Alma 38:14). Therefore may God grant unto you, my brethren, that ye may begin to exercise your faith unto repentance, that ye begin to call upon his holy name, that he would have mercy upon you; Yea, cry unto him for mercy; for he is mighty to save. Yea, humble yourselves, and continue in prayer unto him. Cry unto him when ye are in your fields, yea, over all your flocks. Cry unto him in your houses, yea, over all your household, both morning, mid-day, and evening. Yea, cry unto him against the power of your enemies. Yea, cry unto him against the devil, who is an enemy to all righteousness. Cry unto him over the crops of your fields, that ye may prosper in them. Cry over the flocks of your fields, that they may increase. But this is not all; ye must pour out your souls in your closets, and your secret places, and in your wilderness. Yea, and when you do not cry unto the Lord, let your hearts be full, drawn out in prayer unto him continually for your welfare, and also for the welfare of those who are around you (Alma 34:17-27). Pray without ceasing. In every thing give thanks: for this is the will of God in Christ Jesus concerning you (1 Thessalonians 5:17-18). But thou, when thou prayest, enter into thy closet, and when thou hast shut thy door, pray to thy Father which is in secret; and thy Father which seeth in secret shall reward thee openly. But when ye pray, use not vain repetitions, as the heathen do: for they think that they shall be heard for their much speaking. Be not ye therefore like unto them: for your Father knoweth what things ye have need of, before ye ask him (Matthew 6:6-8). For if ye would hearken unto the Spirit which teacheth a man to pray ye would know that ye must pray; for the evil spirit teacheth not a man to pray, but teacheth him that he must not pray. 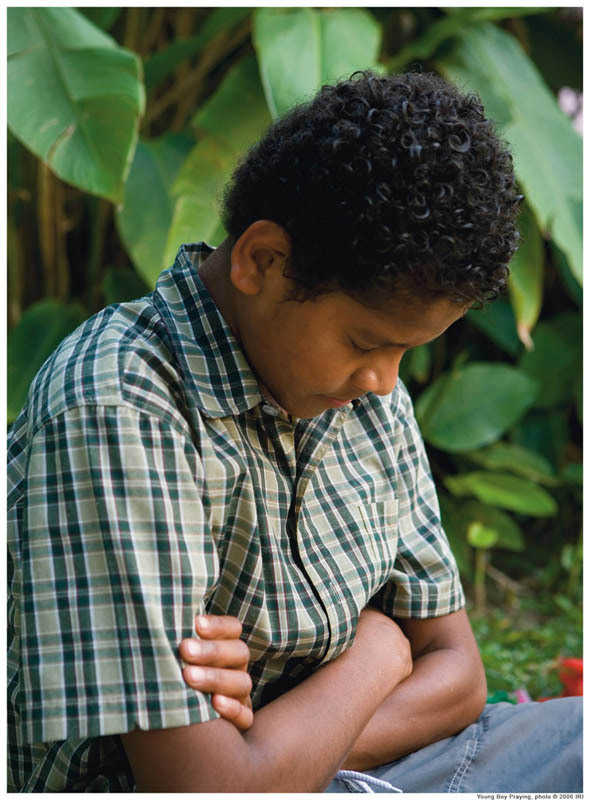 But behold, I say unto you that ye must pray always, and not faint; that ye must not perform any thing unto the Lord save in the first place ye shall pray unto the Father in the name of Christ, that he will consecrate thy performance unto thee, that thy performance may be for the welfare of thy soul ( Nephi 32:8-9). 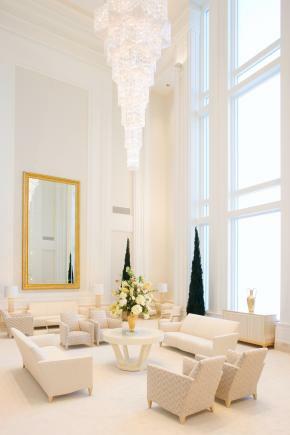 And when ye shall receive these things, I would exhort you that ye would ask God, the Eternal Father, in the name of Christ, if these things are not true; and if ye shall ask with a sincere heart, with real intent, having faith in Christ, he will manifest the truth of it unto you, by the power of the Holy Ghost (Moroni 10:4). But, behold, I say unto you, that you must study it out in your mind; then you must ask me if it be right, and if it is right I will cause that your bosom shall burn within you; therefore, you shall feel that it is right. But if it be not right you shall have no such feelings, but you shall have a stupor of thought that shall cause you to forget the thing which is wrong; therefore, you cannot write that which is sacred save it be given you from me (Doctrine and Covenants 9:8-9). Be thou humble; and the Lord thy God shall lead thee by the hand, and give thee answer to thy prayers (Doctrine and Covenants 112:10). If any of you lack wisdom, let him ask of God, that giveth to all men liberally, and upbraideth not; and it shall be given him. But let him ask in faith, nothing wavering. For he that wavereth is like a wave of the sea driven with the wind and tossed (James 1:5-6). Draw near unto me and I will draw near unto you; seek me diligently and ye shall find me; ask, and ye shall receive; knock, and it shall be opened unto you. Whatsoever ye ask the Father in my name it shall be given unto you, that is expedient for you; And if ye ask anything that is not expedient for you, it shall turn unto your condemnation (Doctrine and Covenants 88:63-65). Confess your faults one to another, and pray one for another, that ye may be healed. The effectual fervent prayer of a righteous man availeth much (James 5:16). How can I Know What is True? Why Do Mormons Pray for a Testimony? Why Didn’t My Prayer for a Testimony Get Answered? 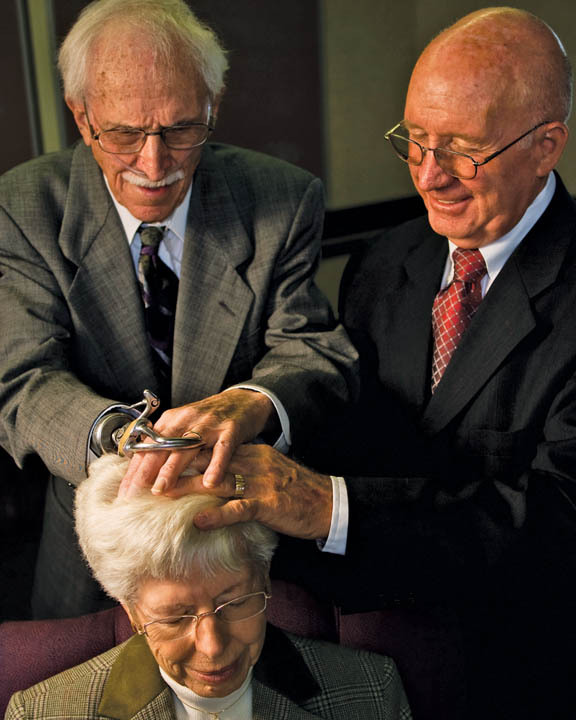 Do Mormons Believe in Using Modern Medicine? Why Did Christ Need to be Baptized? If God exists, how do I find Him? Copyright © 2019 Mormon FAQ. All Rights Reserved.